Monrovia – Naymote Partners for Democratic Development says it is time lawmakers revise some of their campaigns promises, make it more time-bound and quantify, which will make their performance easy to track. The civil society group says there is need for public education to help citizens understand the workings of lawmakers. Naymote Executive Director, Eddie Jarwolo spoke when the institution released its first Legislative Accountability Project (LAP) report capturing January 2018 to January 2019. The report presents the collective findings of 97 campaign promises that were tracked, documented and rated by Naymote against progress made by 12 elected members (10 males and 2 females) including three incumbents and nine new members of the House of Representatives of the 54th National Legislature from five counties. The LAP is an independent monitoring and tracking tool that enables civil society actors and voters to evaluate the implementation of campaign promises made by elected lawmakers. Of the 10 completed promises, community development projects including the establishment of the clan offices, community roads, bridges, and the construction of town halls accounted for six of those completed projects, while the formation of district development council accounted for three of those promises completed and the construction of one health center accounted for one of the many promises. Twenty-seven of the promises focused on health and education, with education accounting for 15 of those promises yet to be made and health care provision accounting for 12. Naymote documented 2017 campaign promises during the legislative election by the Institute for Research and Democratic Development and verified by Naymote Partners for Democratic Development, two of Liberia’s leading democratic advancement and good governance institutions. 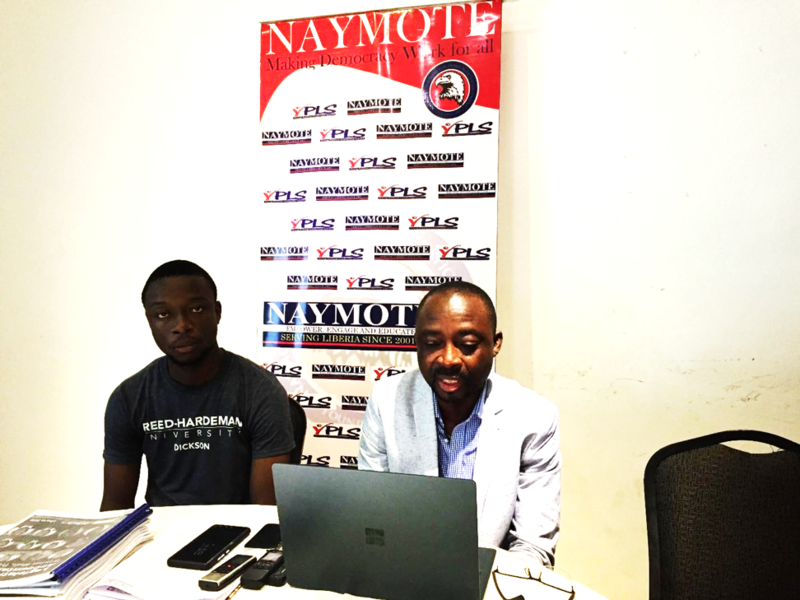 Naymote Executive Director said financial support is needed to expand the project to every electoral district to track promises of all elected lawmakers. 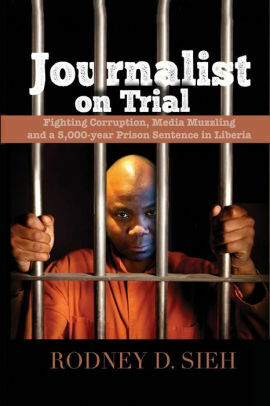 In Bong County, Representative Moima Briggs Mensah of electoral district six, made 12 campaign promises. Out of this, four are rated completed, six are ongoing, and two not started. Representative Robert F. Womba of electoral District # 4, made 11 campaign promises none of which have been completed, seven ongoing, three not started, and one not rated. Representative Prince K. Moye of electoral district two made seven campaign promises. None have been completed; five is ongoing, and two not rated. In Montserrado County:, Representative Rustonlyn S. Dennis of electoral District #4 made eight promises, none completed, while eight ongoing. Representative Richard N. Koon of Electoral District #11 made nine promises during the campaign and just one has been completed, seven ongoing and one not started. Representative Dixon W. Seboe of electoral District #16 made eight promises, one completed, five ongoing, and two not rated. Representative Samuel Enders, electoral District #6 made four campaign promises. He has not completed any but has two ongoing and two have not started. In Nimba County, Representative Larry Younquoi of electoral District #8 made seven campaign promises. he has completed one and six ongoing. Representative Dorwhohn Twain Gleekia of electoral District six, made nine promises, has not completed any, five ongoing, and two have not started yet. Representative Roger S. W. Y. Domahof electoral District #7, made eight campaign promises, none completed, five ongoing, and two not rated. Representative Zoe E. Pennue of electoral one made seven campaign promises, two completed and five ongoing in Grand Gedeh County. In RiverGee County, Representative Alexander Poure of electoral district one made seven campaign promises, but none has been completed, five ongoing, one not started, and one not rated. Jarwolo said a review of 73 lawmakers’ campaign promises highlighted that 54 of these lawmakers mentioned scholarships and improving education within their respective districts as part of their campaign promises. Also, 35 mentioned the provision of quality healthcare in their respective districts as part of their campaign promises and seven lawmakers mentioned lawmaking or introducing legislation as part of their campaign promises. The institution tracked and rated the promises over a period of one year based on four scales. Completed: This is when a promise has been tracked and confirmed to be achieved. Ongoing: This is when action is taken toward achieving a promise but has not been achieved. Not rated: Information is not easily accessible to verify whether an action has been taken. And Not started: This is when no concrete action has taken place in response to a given promise. Jarwolo believes that the Legislative Accountability Project is a necessary platform to promote democratic accountability, make elected lawmakers more accountable, accessible and responsive to their constituents thereby building citizens trust in elections and democratic processes. “I hope this report will be taken in good faith and more actions will be taken to deliver on ongoing promises within the second year of service,” he said. Meanwhile, he called on citizens to hold their elected officials accountable to deliver on the campaign promises made during the election.